It always was about the money. The president* always defined himself by it. It was the comforting myth of his public existence, the fairy tale he told himself so he could sleep at night through all the failure and bankruptcy and the whoring after cash, dirty or laundered, all over the world. Take away the money—or, more accurately, the perception of the money—and there simply is nothing left of the man. 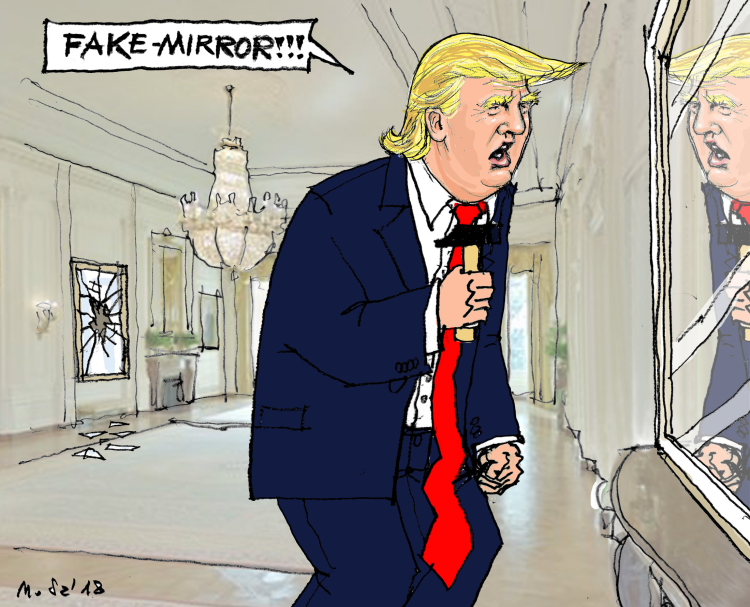 Take away the money, and he can’t see himself in the mirror. So he would do anything, including imperil his presidency and, therefore, the country, to save himself from the horrible realization that the money was all there was to him and there wasn’t any money anymore.